What are spatial databases in GIS? Spatial databases provide a strong foundation to accessing, storing and managing your spatial data empire. A database is a collection of related information that permits the entry, storage, input, output and organization of data. A database management system (DBMS) serves as an interface between users and their database. A spatial database includes location. It has geometry as points, lines and polygons. GIS combines spatial data from many sources with many different people. Databases connect users to the GIS database. For example, a city might have the waste water division, land records, transportation and fire departments connected and using datasets from common spatial databases. What is an attribute table in GIS? By default, spatial vector features are always associated with non-spatial attribute tables in a GIS. Spatial features store where objects are located on a map. Non-spatial attribute tables explain what the objects on the map represent. Attribute tables are similar to spreadsheets. FIELDS have different types such as text (strings), integers (whole numbers) and dates (YYYY/MM/DD). Field name are the title of the column names. A field name should be descriptive of the information being entered in the column. For example, the average population may have a field name of AVG_POP. ROWS in an attribute table represents a spatial feature in the data set or an associated record of that data set. As you can see, we can get some extra information about these five cities. We learn their latitude and longitude. Not only that, but we see their pop max (which is for the metropolitan areas) and pop_min (which is for the incorporated city of the same name). When one spatial feature is associated with multiple records in an attribute table this is called a one-to-many relationship (1-M). In this case there is a unique identifier in the spatial table that is used to uniquely identify each row in a table. These are called keys and they exists in both the spatial and non-spatial attribute table. This unique ID (primary key) is the primary linkage between geographic data and attribute table. This key must exist in the related table as a foreign key. 1-M relationships are commonly set up in spatial databases. Relationship classes set up the type of relationship and which features are being connected by a unique ID. Over a period of three years, there have been multiple observations of different animals. The two sites of these mountains have the same IDs – A101 and A102. The observations at each site can be found within the OBS field. The YEAR field identifies which year the animal was observed. The two fields that link up these attribute tables are the primary keys ID and SURV_ID. You can see how we are reducing redundancy. We are no longer storing the latitude and longitude in each observation. This is because each latitude and longitude is only being stored once in the survey points table. Many-to-many relationships in GIS are much less common in GIS. This type of relationship exists when there are many entries in related attribute tables and vice versa. An intersection table is usually generated to associate many records together. As explained above, the two fields that link up these attribute tables are the primary keys ID and SURV_ID. What ties these tables together is user setting up a 1-M relationship. This is an example of a RDBMS. RDBMS is a relational storage concept for data. A relational database contains tables that holds records. Each record holds fields containing data for that record. It uses normalization to separate tables and link tables together. Normalization doesn’t waste space. It breaks out information into discrete components. RDBMS reduces repetitive information. In the example above, we take out duplicate information into multiple tables. There’s a foreign key on one table and we can gain access to that table through a relationship. Boolean algebra are conditions used to select features with a set of algebraic conditions. Conditions include AND, OR or NOT. In GIS, Boolean algebra are conditions used to select features with a set of algebraic conditions. Conditions include AND, OR or NOT. 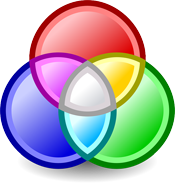 Venn diagrams are often used to represent Boolean operations. The name Boolean algebra originated by founder George Boole in 1847. Structured Query Language (SQL) is how users can interact with the database using Boolean algebra. Proprietary Esri File Geodatabases stores vectors, rasters, tables, topology and relationships. Schemas can be set up for data integrity. File geodatabases offer structural, performance and data management advantages. Open source PostGIS adds spatial objects to the cross-platform PostgreSQL database. The three features that PostGIS delivers to PostgreSQL DBMS are spatial types, indexes and functions. With support for different geometry types, the PostGIS spatial database allows querying and managing information about locations and mapping. Other database examples include SQL Server (where geometry is just another data type, like char and int) and Microsoft Access (known as a personal geodatabase in ArcGIS). Spatial databases provide a mechanism for multiple users to simultaneously access shared spatial data – similar to a DBMS. A database management system (DBMS) allows users to store, insert, delete and update information in a database. RDBMS takes it a step further. It reduces redundancy through normalization. It links tables together through primary and foreign keys. Spatial databases go a step even further because it records data with geographic coordinates. From geodatabases to PostGIS, spatial databases have quickly become the primary method of managing spatial data. 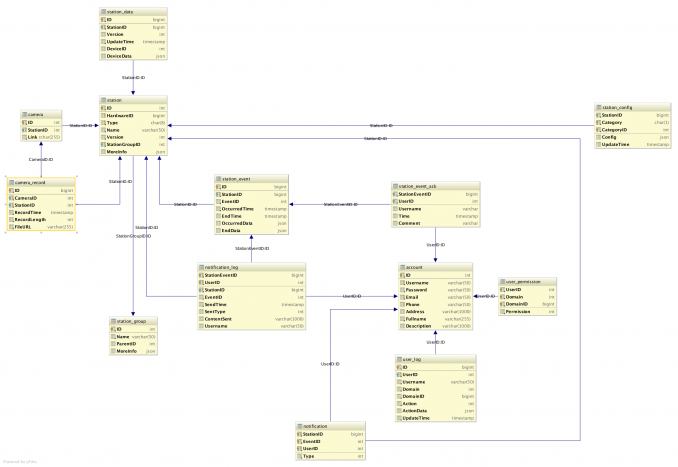 Start your spatial data empire using spatial databases.